This Anthology contains live radio recordings not heard since their original broadcasts in the early 70s. Also included are fan favorites from their previous 5 CDs. Packed with 78 minutes of great blues, it’s a high-energy musical experience that can’t disappoint! In 1970, The DELTA WIRES band was created out of a love of the blues, its beginnings in the Mississippi Delta, and the migration to Chicago of the Delta bluesmen. Band leader, Ernie Pinata, conceived of a master’s degree project at The California College of Arts and Crafts in Oakland, California (now California College of the Arts), in which he would study and perform for credit, an anthology of the blues and its evolution over time. He studied the beginning of the blues in Mississippi and its regional migration to the industrial north – Chicago, and received sociology credit. He wrote songs and received poetry credit. These studies culminated in the first performance of the DELTA WIRES. It began with traditional field hollers, to Son House, Charley Patton, and Robert Johnson, along with a few of Ernie’s original compositions. A Muddy Waters-style blues band (or a “Little Walter style band with a sax added”) finished out the program. Ernie Pinata and his brother Stephen worked together on creating the concept and the band which performed the project, and Ernie’s childhood friend, bassist Tom Gerrits, became a part of the band around this time. Ernie was a blues lover and collector. He was an avid fan of the “Chitlin’ Circuit” and was able to see many of the blues greats when they came to the Oakland area – Lowell Folsom, Jimmy McCracklin, Buddy Guy and Junior Wells, Charles Brown, and James Cotton, among others. He also had a love for the modern “Wired” result of the blues’ migration and evolution – the energy of the electric instrumentation, and the sound of a horn section he heard when he saw BB King at the Fillmore, and Bobby Bland at Ruthie’s Inn. A three piece horn section was added and has never left. The band started by playing the clubs in Oakland – Esther’s Orbit Room and The Continental Club, and Mandrake’s and The New Orleans House in Berkeley. Around this time, Fulson sat-in with the DELTA WIRES at the New Orleans House in Berkeley and Ernie sat-in with the Freddie King Band at Mandrakes in Berkeley. This was followed by a performance with Buddy Guy and Junior Wells at Keystone Berkeley. The Delta Wires then began to open shows for these blues greats, and continued to grow as musicians and as a band. The band continues to perform today at the high level evidenced by this Anthology of recordings of the DELTA WIRES from 1971 to the present. 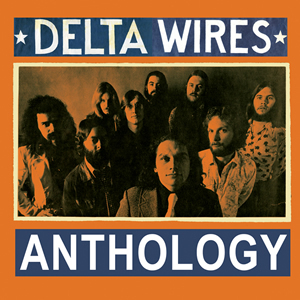 The compilation you are about to hear has live early recordings of the DELTA WIRES never heard since their original broadcasts in the San Francisco Bay Area in the early ’70s, as well as selected material from their 5 CDs.